In this book, a photo shoot for various crochet pieces is being held on the property of a rich, retired judge. A dead bush is dug up in order to pretty up the yard and OMG SKELETON ARM! 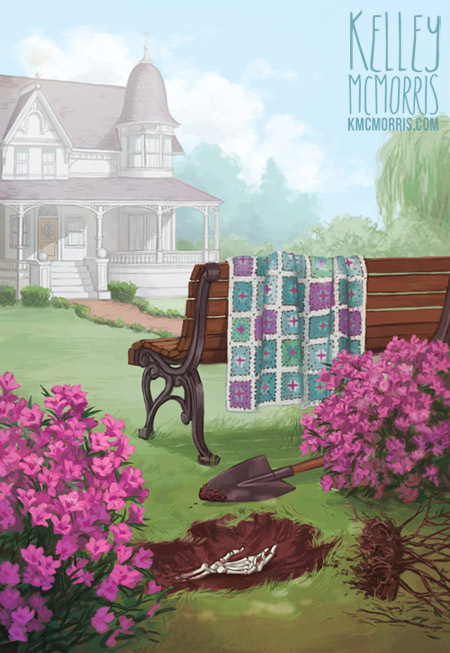 The cover should have colorful azaleas to the left and right of the spot where the dead one has been dug up. 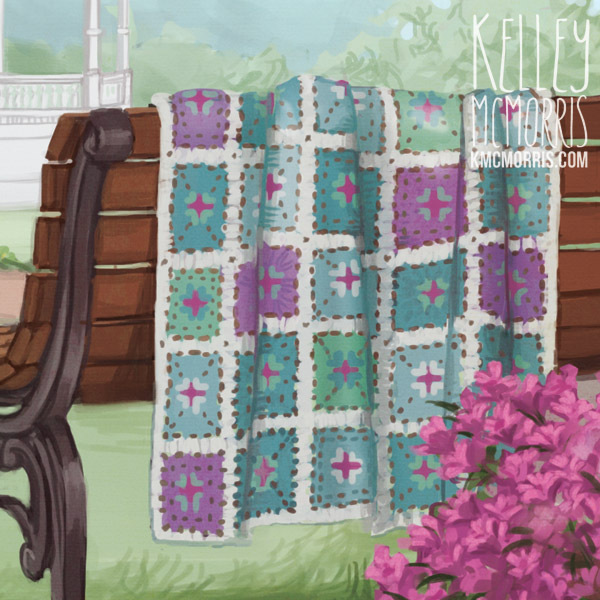 The background, centered on the open spot, should be a wrought iron garden bench looking away from the scene with a crocheted afghan hung over the back of the bench. 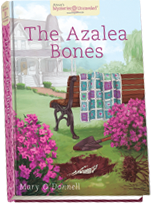 I want a skeletal forearm and hand visible in the disturbed ground where the dead azalea has been dug up. A spade or a shovel should be on the ground as if the gardener drops it when he discovers the skeleton. 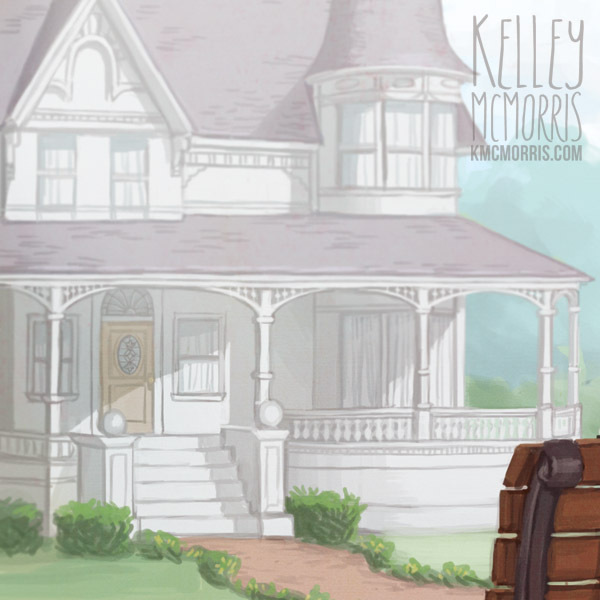 A nice Victorian looking house would be a good contrast for the background. Maybe not dead center, but on one side or the other with a veranda-style wrap-around porch showing. Yeah, it's a lot, but I like the challenge. Trying to get all of these elements to fit together in an attractive way is a puzzle to be solved. 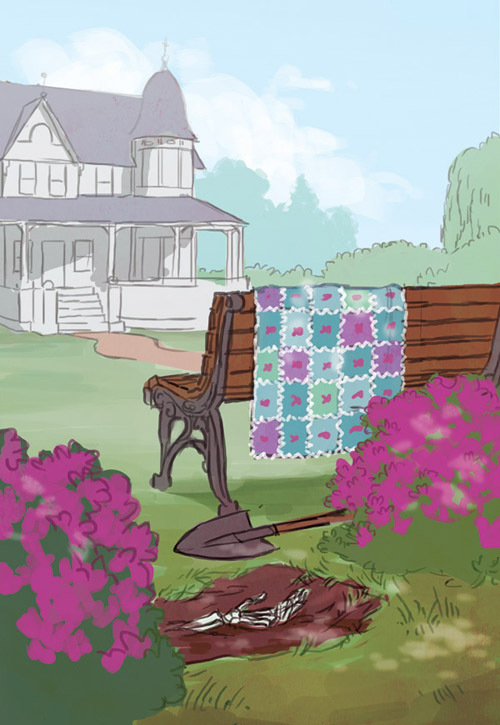 In this case, the foreground, midground and background in this scene was pretty much already laid out for me, so I focused on giving the client different options - three different benches, different houses, different shovels, etc. The client liked the foreground of #2 and the background of #3. They asked me to paint the house white, so that it wouldn't interfere with the title text too much. The client pointed out that I had forgotten to add a dead azalea bush that has been dug up. yeah i agree the cover looks great. Can't wait to get my copy! Looks really great!